Is there anything better than a warm cookie, straight from the oven? Heck, I surely don’t think so. I learned from a very young baking age, that Cookies put smiles on faces! Put a warm cookie in the hand of someone who’s down, and even before eating it . . . their face lights up. This Oatmeal Raisin Cookie, will certainly add some creases to the corners of your mouth. 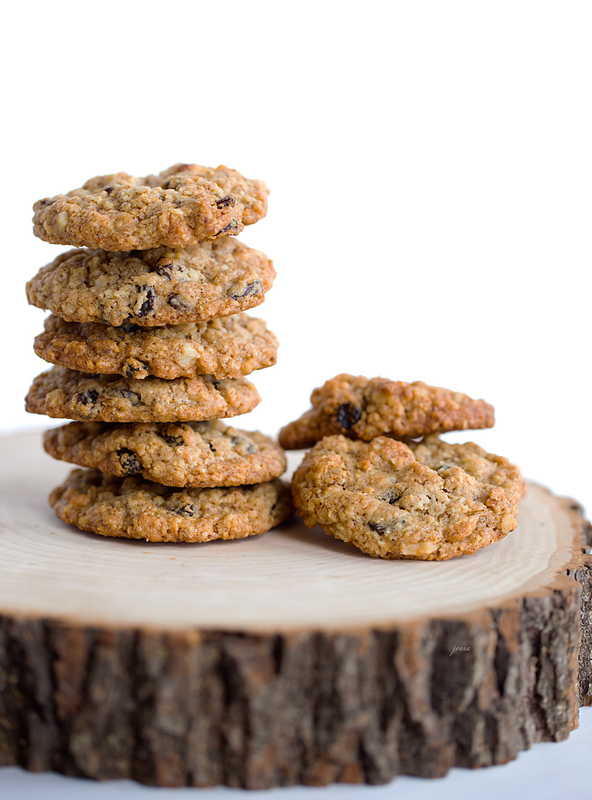 A good Oatmeal cookie should be crisp on the outside, but chewy on the inside. Check! I was tempted to add chocolate chips, but I knew better. I would love it, but my better half would certainly frown. 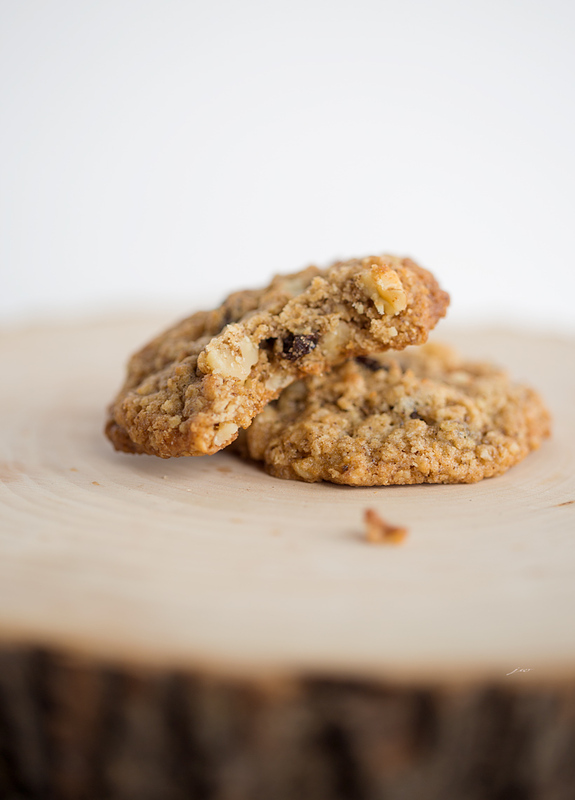 Walnuts reign supreme in this house, but pecans or even cashews would shine brilliantly in this Oatmeal Raisin Cookie. 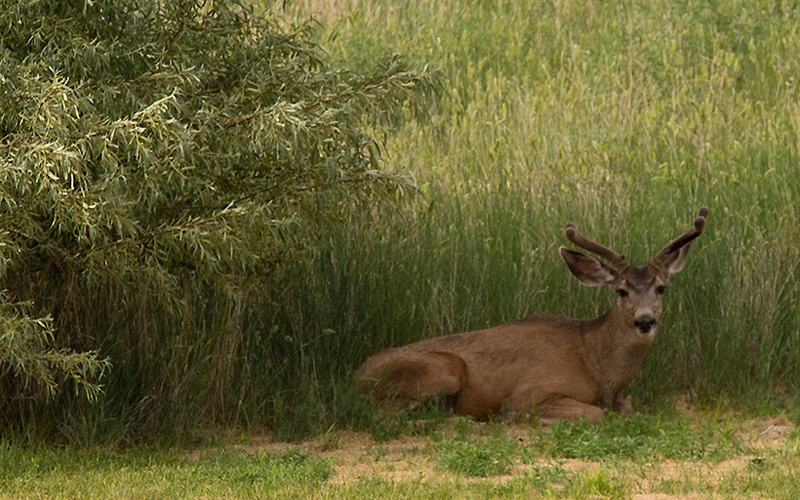 Another happy moment today, came in the form of a buck sitting under our tree in the backyard. It’s a bit odd in the summer time. Cookies + Deer + Sunset = a very good day! In large bowl, beat butter and sugars on medium speed of mixer until creamy. Add combined flour, baking soda, cinnamon and salt; mix until combined. Add oats and raisins mixing well. Drop dough by scoop or by rounded tablespoonfuls onto ungreased cookie sheets. Cool 1 minute on cookie sheets; remove to wire rack and cool completely.